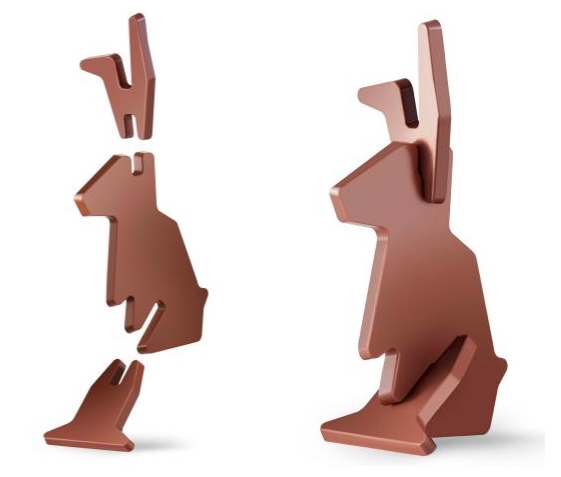 IKEA made a DIY chocolate bunny for Easter!! 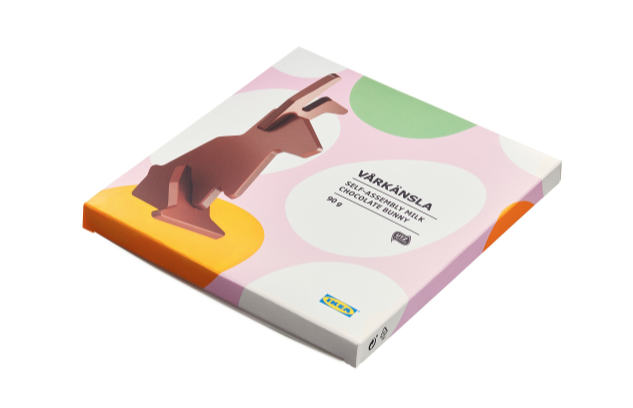 IKEA’s VÅRKÄNSLA is a milk-chocolate Easter bunny you assemble yourself! Just three pieces! No hex wrench required! They sell it like their furniture — in a flat pack! Cute, clever, and perfect for Ikea. I am so glad we have you looking out for us, PeeWee! Oh yeah! This radically changes the concept of chocolate bunnies. Elegant version. And comfortable! In short, it very similar to the furniture…(I hope it tastes like chocolate after all…) Thanks, Pee-wee!